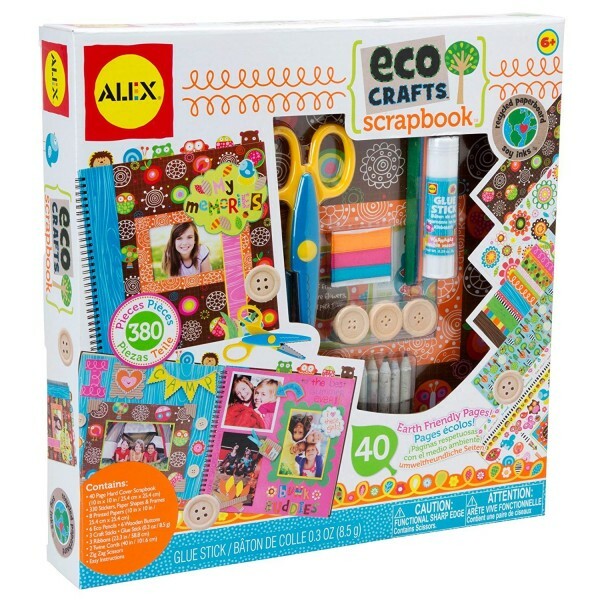 With this set from ALEX Toys, you'll have all the eco-friendly scrapbook supplies you need to make your own memory book. Create a colorful scrapbook — with 380 pieces of scrapbooking supplies, all you need to add are the pictures. 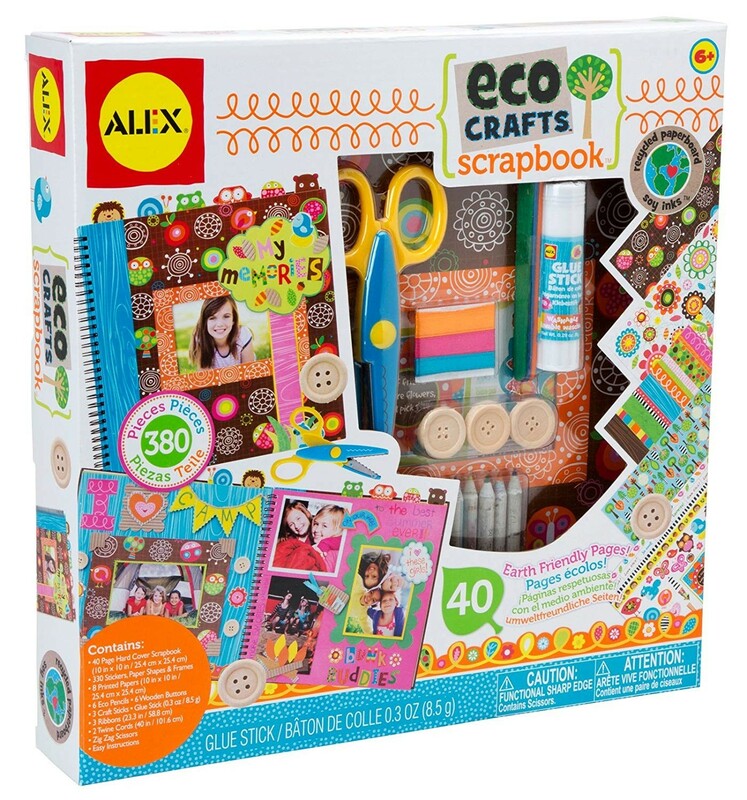 The set includes a 40 page 10 inch spiral bound hardcover scrapbook, 330 stickers, paper shapes and frames, 8 10 inch square printed papers, 6 eco pencils, 6 wooden buttons, 3 craft sticks, a glue stick, 3 ribbons, 2 twine cords, zig-zag scissors and easy instructions — all of which use as many recycled and earth-friendly materials as possible, including recycled paperboard and soy inks. For more kits for crafty kids, visit our Arts and Crafts Collection.